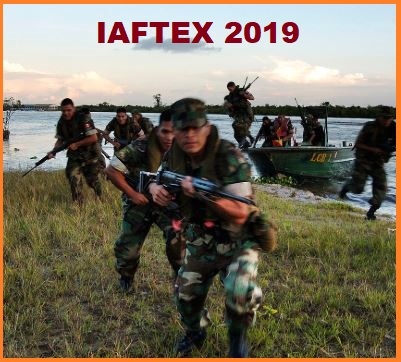 Indian Africa Field Training Exercise (IAFTX) will be held at Aundh Military Station and College of Military Engineering, Pune from 18 March 2019 to 27 March 2019. IAFTX joint exercise is being conducted between India and a dozen African Countries. The joint exercise aims at synergizing humanitarian mine action and joint peace operations. IAFTX joint exercise is a step forward towards growing political and military ties with the member nations of the African continent and will boost the already strong strategic cooperation between the countries. IAFTX joint exercise will see participation from Nigeria, Egypt, Ghana, Kenya, South Africa, Senegal, Sudan, Tanzania, Zambia, Namibia, Mozambique and Uganda. The exercise is being conducted with an aim to synergize United Nations peacekeeping operations. IAFTX joint exercise will aid in forging better military ties and extending India’s outreach in Africa.